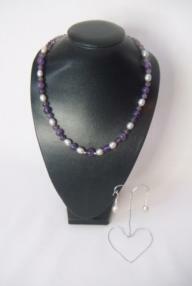 Beautifully rich colour Amethyst rounds and silver 'Potato' Pearls form a classic collar style necklace, and the earrings are simply silver 'Potato' Pearls with decorative Sterling Silver wire details, so they could be worn with other pieces too. 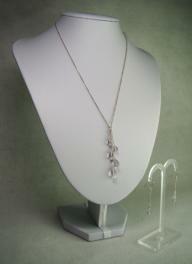 All the findings in this set are 925 Sterling Silver. 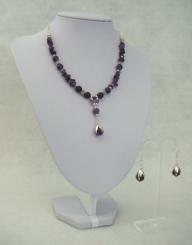 This is luxury at a wonderful price. 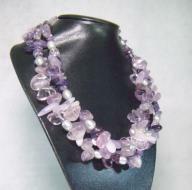 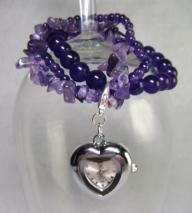 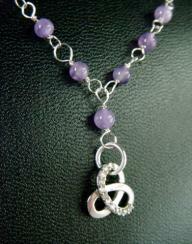 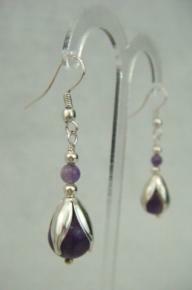 February's birthstone is Amethyst, normally purple, but also in pink, lavender and green.